Journalism in France has a rich tradition of political satire and caricature, dating back many hundreds of years and gaining footholds at many crucial moments in France’s history. Popular in the 17th century, Molière and Jean de la Fontaine earned their fame mocking the upper echelons of society through comic plays or fables, often accompanying their stories with caricatures mimicking the physical characteristics of the protagonists. 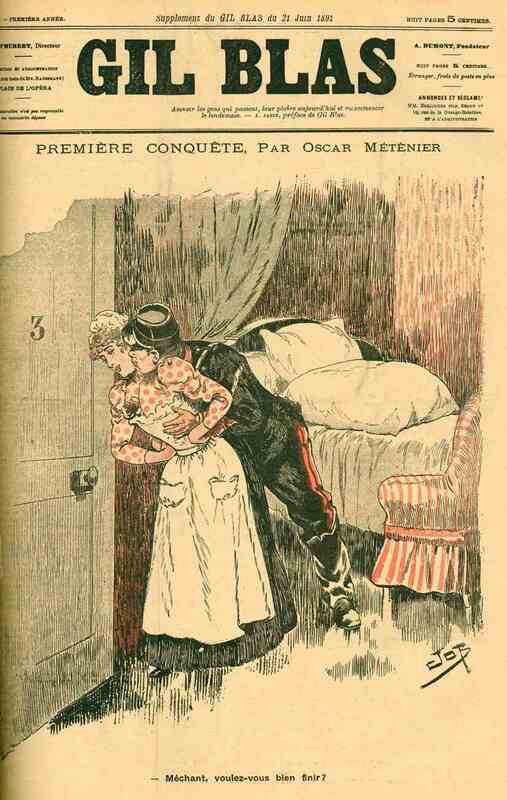 A century later, around the time of the Revolution, particularly ubiquitous were scandal sheets targeting the royal family, especially Marie-Antoinette, with illustrated and sometimes even pornographic tales depicting the sexual antics and corruption taking place at the court in Versailles. And surrounding the July Revolution of 1830, satire was used to help create a middle-class political critique. While satire was at first severely cracked down upon, it eventually became banned all together. In 1830, a law was passed outlawing attacks on the “royal authority” or the “inviolability” of the King’s person. 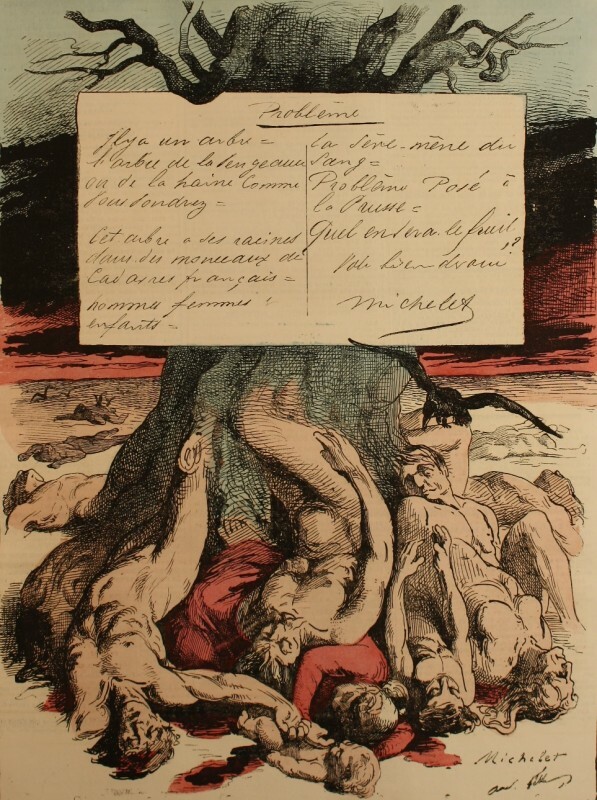 Under this law, both Honore Daumier and Charles Philipon were arrested in 1831 for drawing unflattering cartoons of King Louis Philippe. 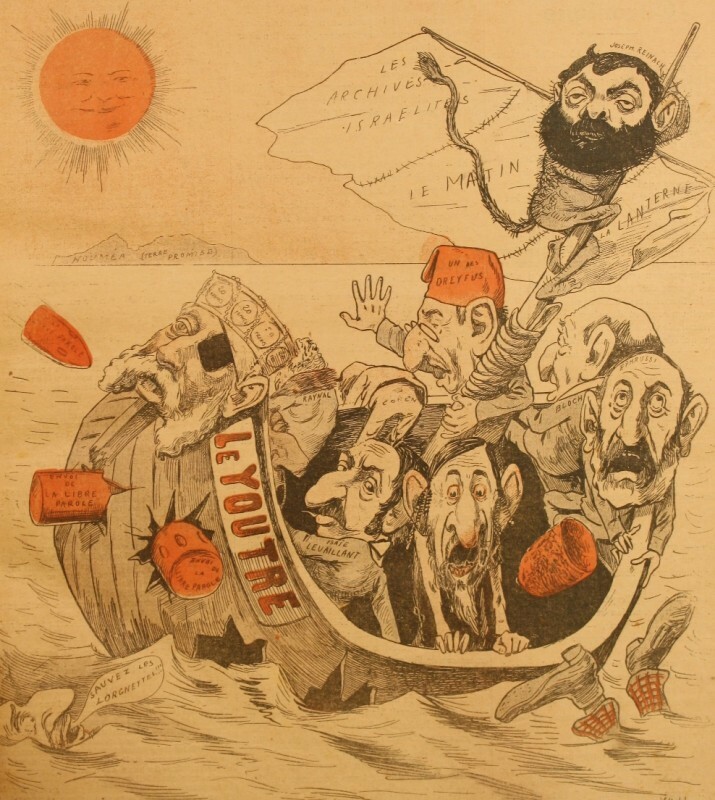 Between 1831 and 1835, twenty-eight issues of the weekly La Caricature, the best-known satiric newspaper of the time, were seized, and the paper’s founder was prosecuted in six different cases. And finally, under the September Laws of 1835, a law was passed restricting freedom of the press, specifically targeting and prohibiting political satire altogether, calling a caricature an “act of violence” and mandating that violators be tried by tribunal rather than by jury, and consequences for breaking the law became much harsher. In 1881, an important law was passed which cut back on many of the policies regarding censorship. While certain types of libel were still outlawed, including some forms of defamation, the effect in the media and in journalistic output was immediate. The number of periodicals and newspapers published in France doubled over the course of a decade. F.A. 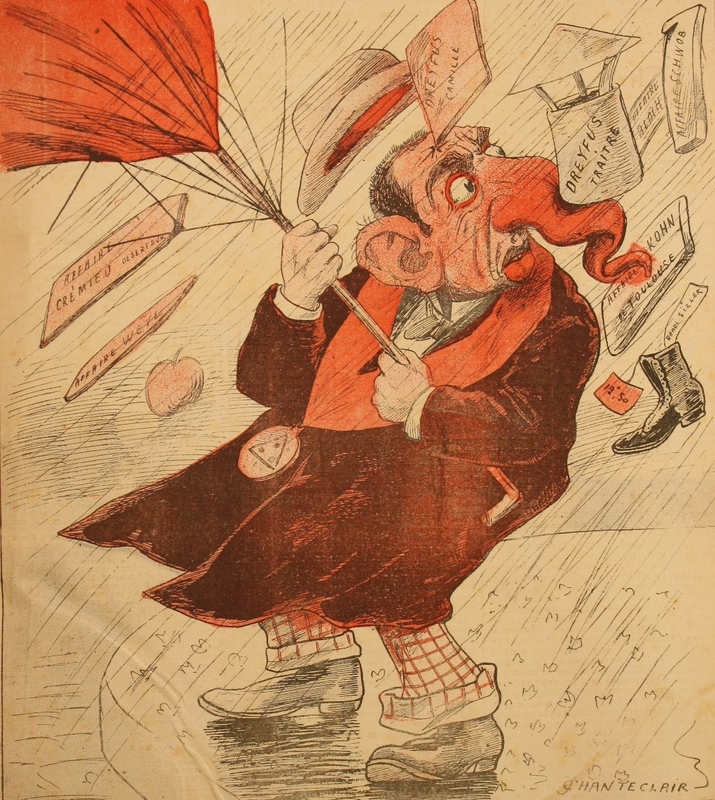 Bernett Books currently has in its holdings six important satirical publications which date to the time just before and after the passing of the freedom of the press law of 1881. 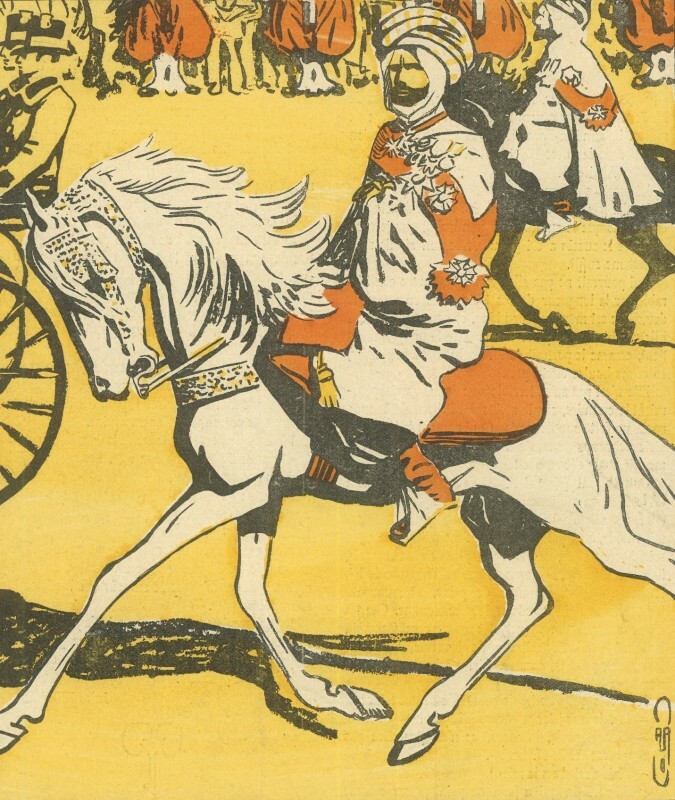 These serials demonstrate how the thread of satire continued in France through the 19th and into the 20th century, leading to the creation decades later of periodicals like Hara-Kiri and Charlie Hebdo. L’Eclipse. Year 1, No. 1 (Jan. 26, 1868) through Year 9, No. 400 (June 25, 1876) (all published). 443 issues (incl. 37 bis, and 6 suppl.) 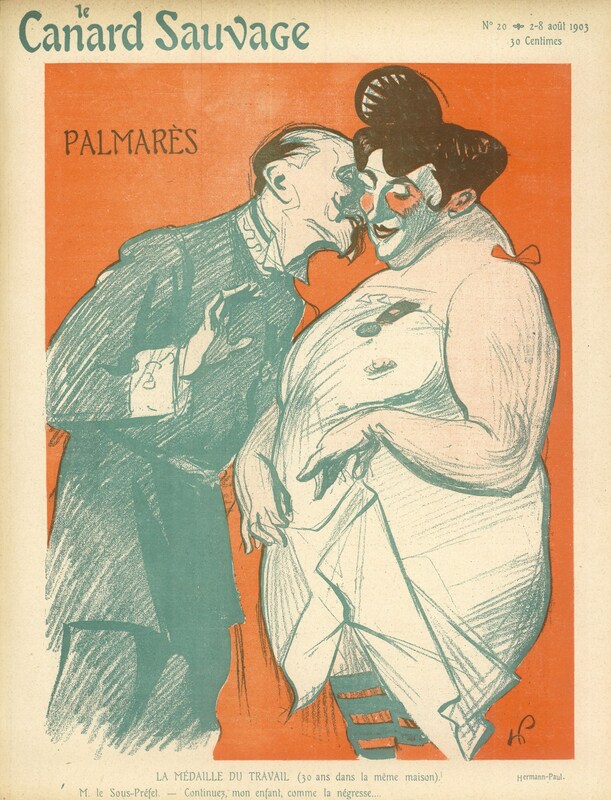 in 3 vols., most 4 pp., numerous issues with caricatures on front and rear covers, this edition with title, half-title and table of contents preceding each year, the final volume bound together with the portfolio “Dessins de l’Eclipse: Interdits par la Censure”: 21 lithographs of alternate covers refused by the Parisian censors. Folio. Contemporary half-leather boards, raised spine, gilt-tooled title and ornament, marbled endpapers. Paris 1868-1876. 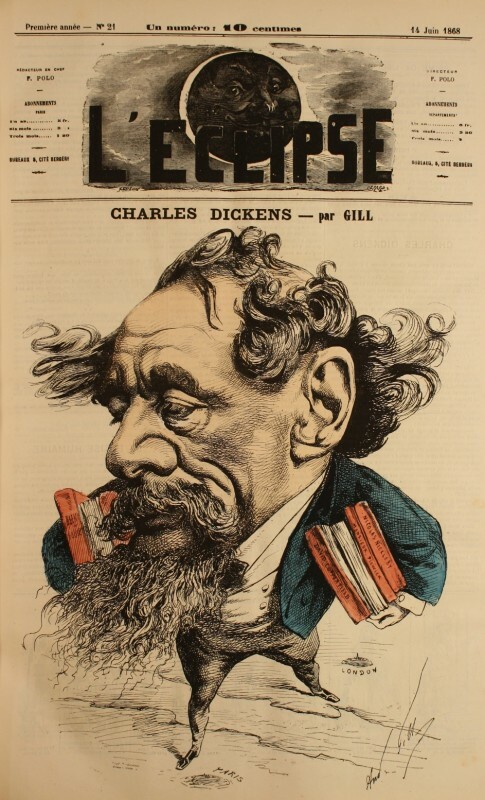 Comprising a complete run of the satirical weekly newspaper that succeeded publisher François Polo’s La Lune after it was banned by the authorities. L’Eclipse was one of the most important satirical papers of its time. 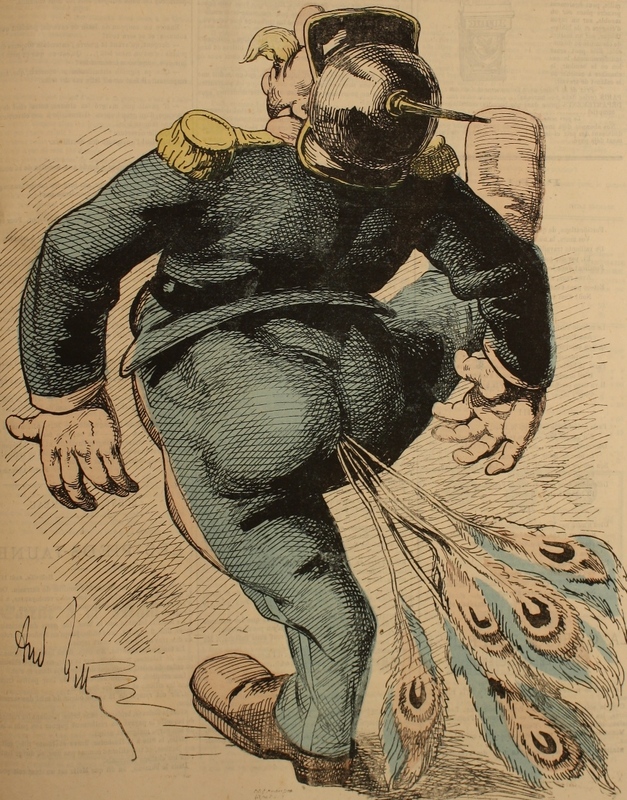 The extraordinary and inflammatory caricatures primarily by André Gill, with examples from other artists including Paul Hadol, Alfred Le Petit, and Pépin [Claude Guillaumin], lampooned volatile French politics of the late Second Empire, the Franco-Prussian War (the paper was suspended from Sept. 1870-June 1871 following the collapse of the Empire and during the Paris Commune) and the Third Republic, with allegorical images and frequent depictions of Napoleon III, Bismarck, Léon Gambetta, Adolphe Thiers, and François-Vincent Raspail, alongside literary and artistic celebrities including Jules Verne, Gustave Courbet, Emile Zola, Richard Wagner, and Victor Hugo. During the time of its publication, it suffered twenty-two seizures by the law. La Lune Rousse. Year 1, no.1 (10 Dec. 1876) through year 4, no. 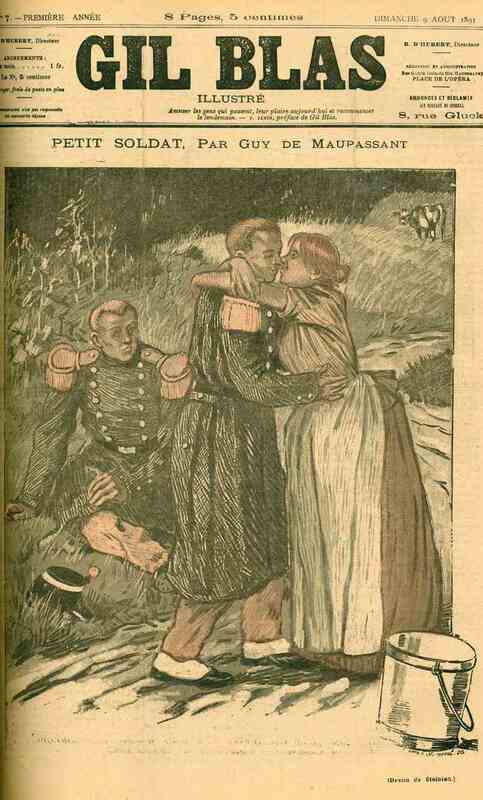 159 (21 Dec. 1879) (all published). 159 issues, 4 pp. each. Folio. Issues loose as issued in self-wrpps., housed in early boards portfoli. Paris, 1876-1879. La Lune Rousse was launched by André Gill as a successor to L’Eclipse, and the weekly paper featured ironical and humorous texts about contemporary events and public figures accompanied by striking and dramatic full-page, front-cover and double-page, center-spread caricatures by Gill. It also attracted the attention of authorities, who seized and banned at least 10 issues of the weekly serial during its first year of publication. Despite its stated intentions to merely amuse its readers, Gill did not conceal his Republican, scientific and anti-clerical leanings in his caricatures. Among the figures his drawings either celebrated or lampooned were such notables as Sarah Bernhardt, Émile Zola, Victor Hugo, Charles Darwin, and Gill’s bitter rival, the conservative Catholic journalist Jules Veuillot. Gil Blas Illustré. Year I, no. 1 (28 June 1891) through Year XIII, no. 33 (14 August 1903) (plus supplements) (all published). 1891. Bound in 13 volumes, with additional material. Uniformly bound in cloth-backed boards with labels mounted on spines, all original illustrated covers bound in. Paris 1891-1903. 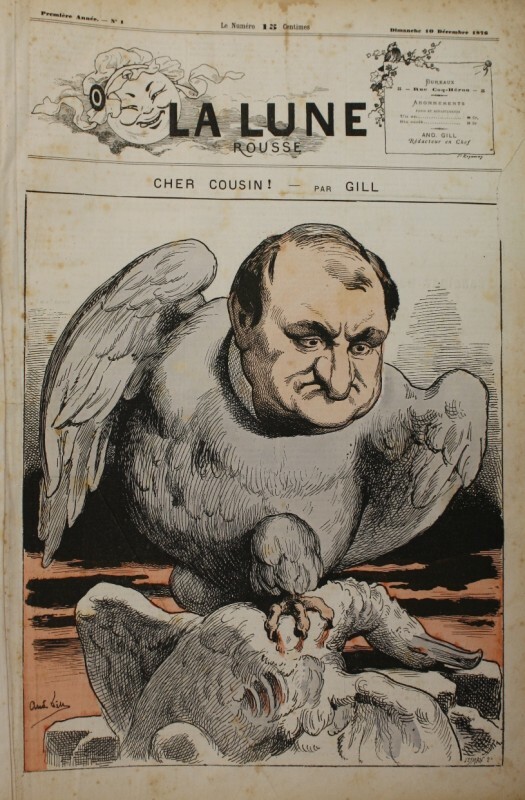 This complete run of the richly illustrated weekly supplement to the daily unillustrated Gil Blas included literary contributions by Verlaine, Courteline, Zola, Maupassant, Mallarmé, Paul Bourget, and other key figures in fin-de-siècle Paris, and featured illustrations, including caricatures and cartoons, by Steinlen, Chéret, Louis Legrand, Jacques Villon, and their contemporaries. 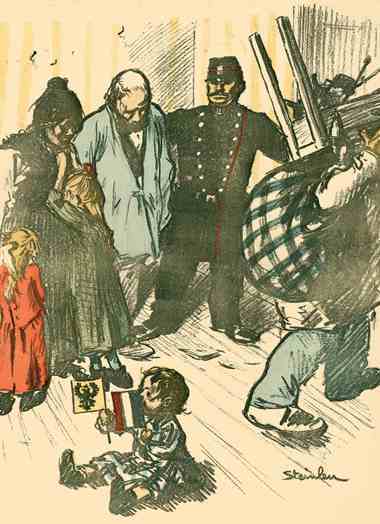 Gil Blas Illustré reflects the life and humor of turn-of-the-century Paris, particularly through the great number of drawings of Parisian life that Theophile Alexandre Steinlen contributed, some of which provided harsh criticisms of societal ills, depicting some of the privileged and many of the poor people and children of the city. La Libre Parole Illustrée. Year 1, No. 1 (Jul. 17, 1893) through Year 4, No. 200 [i.e. 220] (Sept. 25, 1897) (all published). 220 issues bound in 3 vols. ; nos. 1-55, 16 pp. each; nos. 56-220, 8 pp. each. Tall 4to. Half canvas, orig. self-wrpps. bound in. Paris 1893-1897. This complete run of the illustrated weekly supplement to the French anti-Semitic newspaper La Libre Parole was published under the direction of the far-right journalist Édouard Drumont, with items related to politics, contemporary events, fashion, and sports. 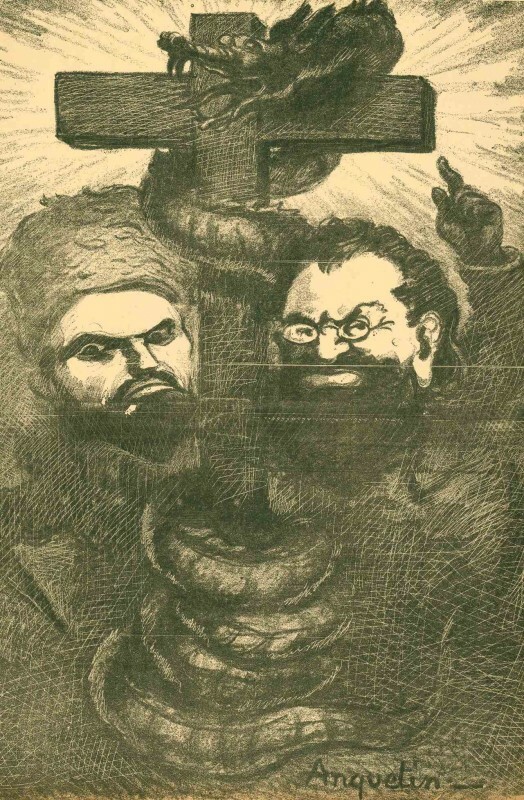 Above all, however, it served as a mouthpiece for Drumont and his virulent Ligue Nationale Antisémitique de France, and was mainly known for its denunciation of various scandals and its rampant anti-capitalism, due to the like perceived by Drumont between Jews and capitalism. The paper earned notoriety for its coverage of the Panama Scandal, which got its name from a story in La Libre Parole. 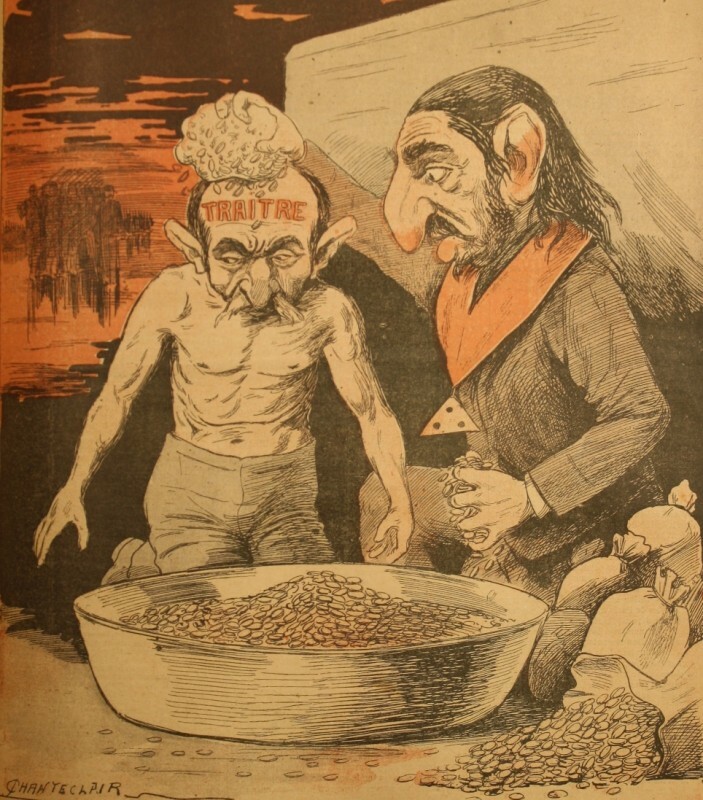 It also became a leading anti-Dreyfusard forum and the principal organ of Parisian anti-Semitism during the Dreyfus Affair, and was notable for its dramatic caricatures by a number of well-known humorists and illustrators including Adolph Willette, Lucien Émery (a.k.a. Chanteclair), Émile Cohl, and Émile-Antoine Bayard. La Feuille. No. 1 (Oct. 6, 1897) through No. 25 (Mar. 28, 1899) (all published). 25 issues of the broadsheet. Newsprint leaves loose as issued. Folio. Orig. printed portfolio. Paris 1897-1899 (portfolio states 1900). 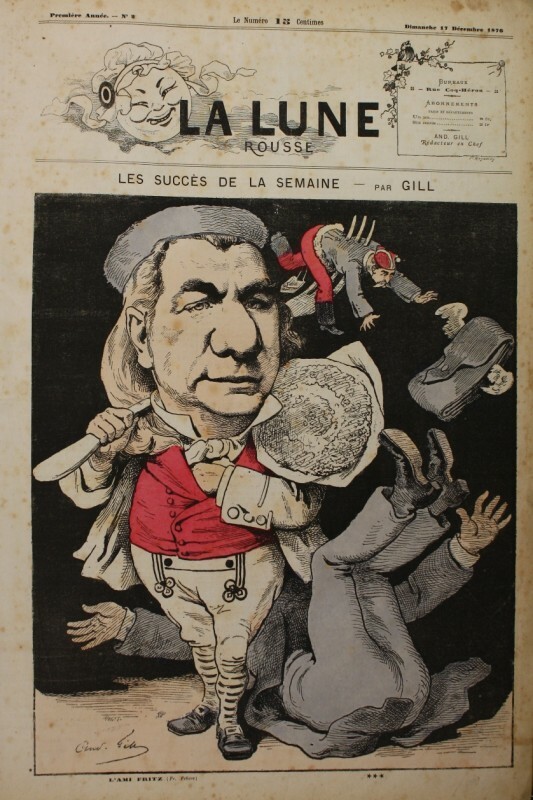 A complete run in 25 issues of the satirical broadsheet edited by Zo d’Axa (née Alphonse Gallaud de la Pérouse), the prominent and spirited French anarchist and Dreyfusard. 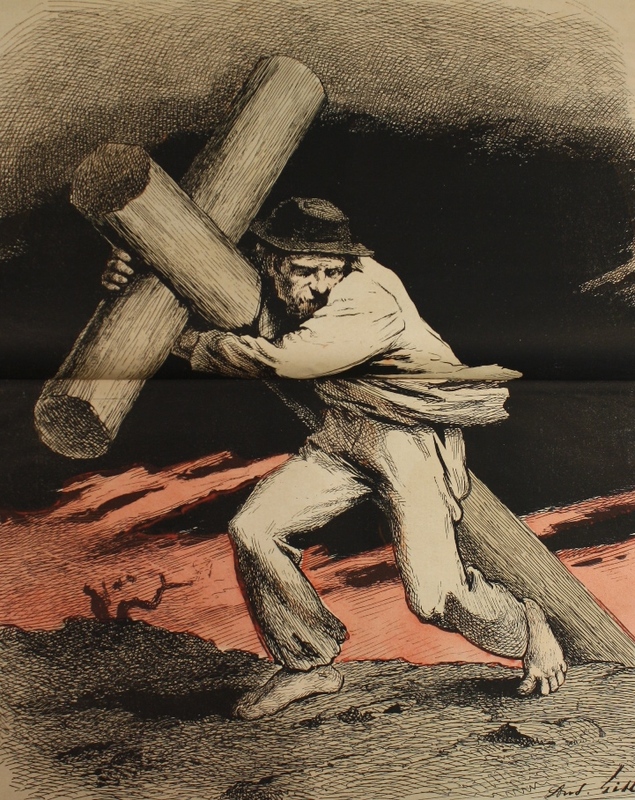 Each issue contained a radical political text by d’Axa and a full-page lithographed caricature or illustration, most by the Swiss painter Théophile Steinlen, a regular contributor to Gil Blas et al. Zo d’Axa justified the use of violence as an anarchist, comparing it to works of art. He was exiled and imprisoned twice in relation to the unsparing political criticism of his earlier publication, the anarchist newspaper L’Endehors. 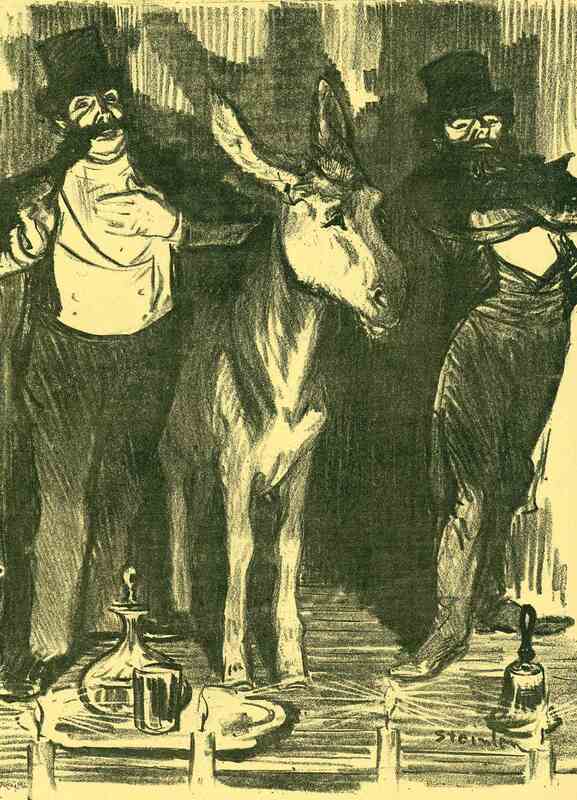 La Feuille achieved special notoriety when d’Axa used its pages to endorse a donkey as a candidate for the Chamber of Deputies. Le Canard Sauvage. Tous les Samedis. 1903. Numbers 1-31 (all published). 31 issues, each approx. 16 pp. containing text and illustrations. Large 4to. 1/2 leather and boards, raised spine, orig. wrpps., bound in. Pairs 1903. 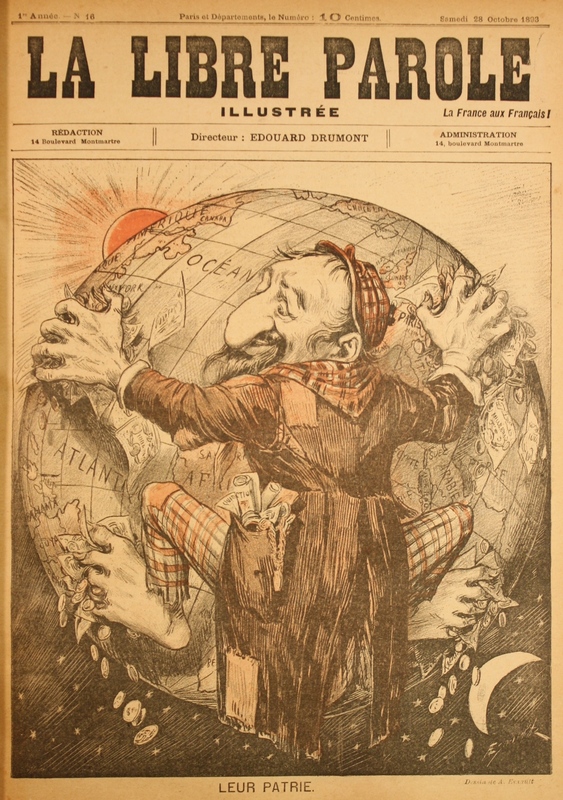 A complete run of all 31 issues of the short-lived turn-of-the-century politico-satirical periodical, Le Canard Sauvage was written in the style of the better-known and more widely distributed Assiette au Beurre, and with many of the same group of collaborators. 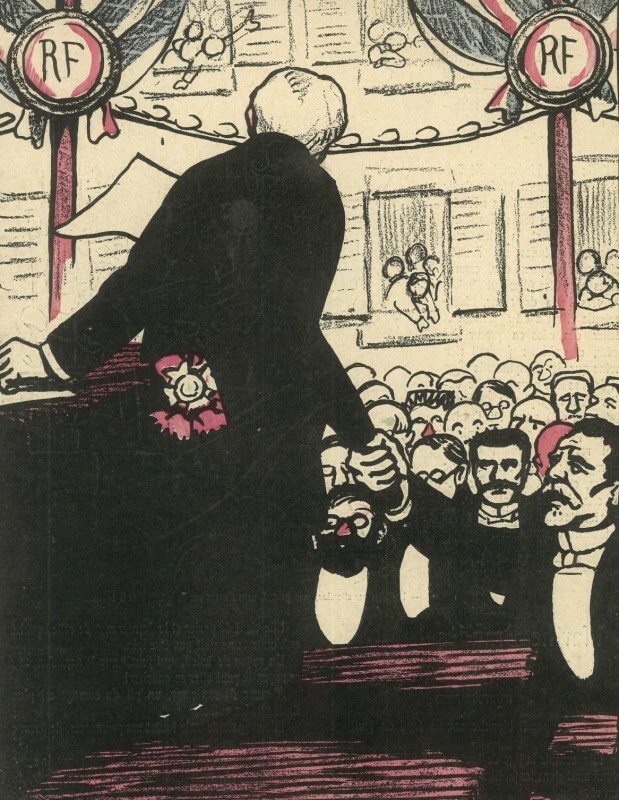 The journal, edited by Edmond Chatenay, was anti-clerical, anti-militarist, and libertarian, and ran from 21 March 1903 until 26 September 1903. 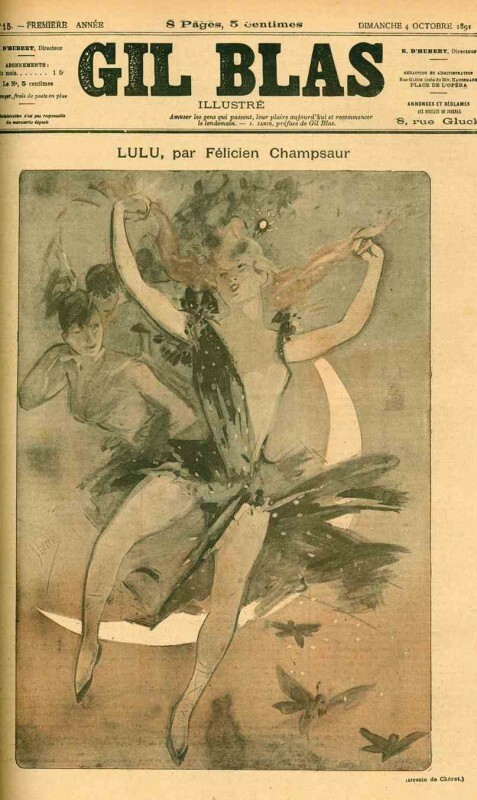 Textual contributors include Alfred Jarry, Octave Mirbeau, Jules Renard, Ch.-L. Philippe, et al., and illustrators include Steinlen, Valloton, Caran d’Ache, Pissaro, Bonnard, Kupka, Kees van Dongen, Iribe, Herman Paul, et al. Complete runs of this periodical have become quite rare. Previous post: Anni di piombo. The Lead Years, 1968-1982.